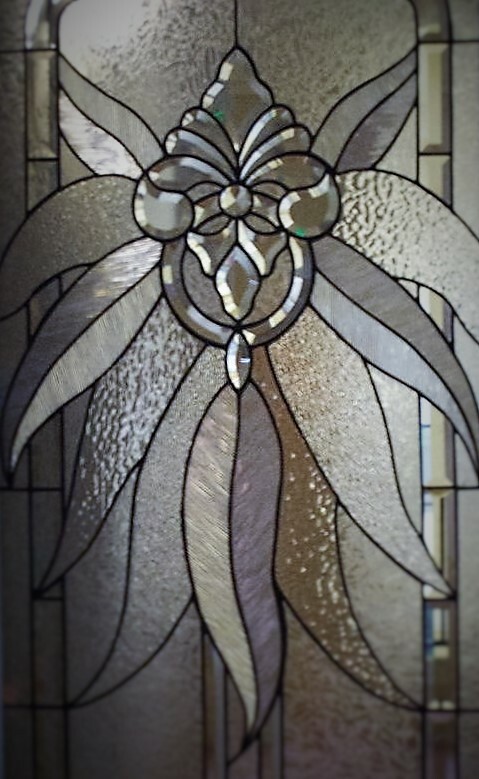 Glass artist, Mary Elizabeth, specializes in designing and creating unique art glass for entryways, transoms, sidelights, windows, and cabinets. She works closely with homeowners, builders, and designers on their projects, with great attention to detail from start to finish. Every original commissioned glass panel she builds is custom designed to the clients specification with the highest quality materials available. Whether you desire an original piece of art glass or need an architectural glass design, Mary Elizabeth has the skill and enthusiasm to create a beautiful custom art glass piece that will fulfill the clients desires, inspire the viewers imagination., and enhance the beauty of any home for many years to come. and turn it into a stunning work of glass art, please click here.